Keep in mind when using the widgets that not all widgets can be used throughout the site. In order to make the setup processes as easy as possible, the Marketify homepage is a widgetized page. A widgetized page has all (or most) of it's content managed with widgets. 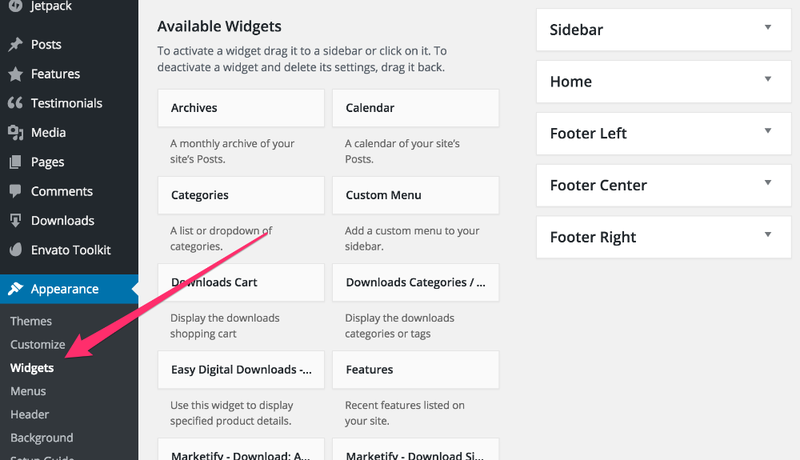 If you are complete new to WordPress and would like to better understand widgets, we highly recommend reading the WordPress Widget guide available on the WordPress.org online manual.